The Danube, this very important and mighty river that takes its source from Germany, flows through many capitals on its journey to the Black sea. 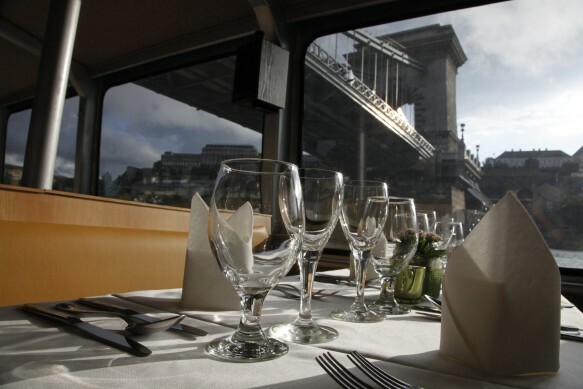 In Budapest it runs majestically through the center of the city, creating one of the finest panoramas of the continent. This program was created for those who would like to see our city during the day. 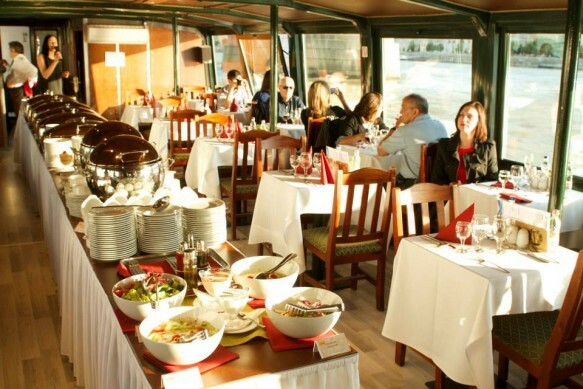 You will be welcomed on board of one of our air-conditioned or heated ships, which will take you on a 1 hour and 30 minutes long cruise with an cozy warm buffet-lunch without guiding. 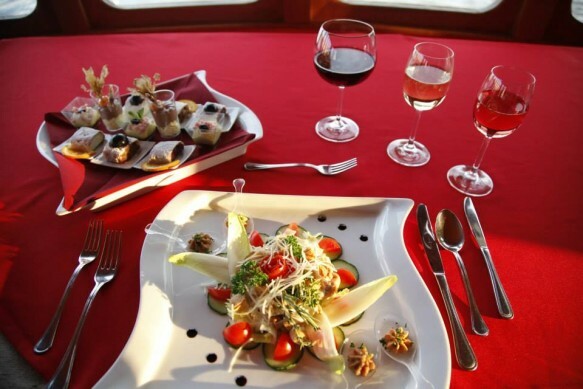 You can book the cruise without lunch, with drinks only as well (a glass of champagne and another glass of drink: soft drink, wine or beer) or with Only Cruise option. Meeting point: Duna Palota (1051, Budapest Zrínyi Street 5.). Please be at the ticket office latest by 13:30.